Where's Jon? Duke button front shirt with tropical print by Gucci. 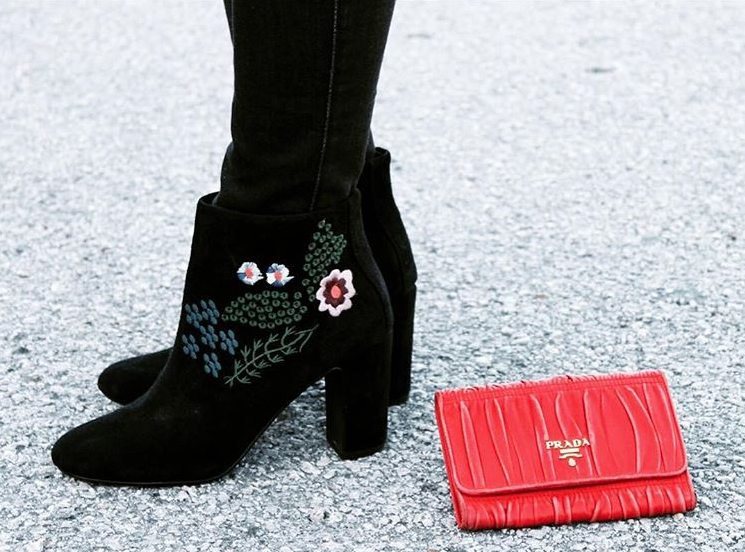 Embroidered bouquet suede boots by Nanette Lepore. Ruched leather Napa Gaufre wallet by Prada. Warmer weather is on the horizon and we have started to introduce the spring stash into both shops. On the hunt for vibrant hues, tropical prints, flora and fauna, bloom and plume pieces all perfect for warm and sunny days 🌞 ?